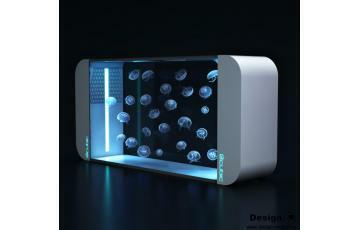 Our Cubic aquarium s are designed to secure a safe environment for the jellyfish and also to enable an easy breeding process. 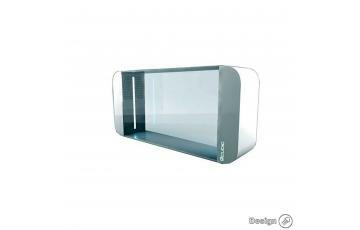 Another advantage is their design appearance - they are a perfect enrichment to your interior. 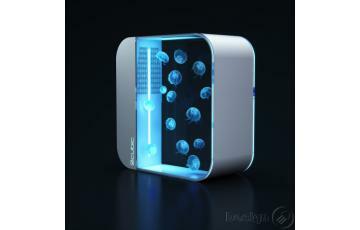 Kč 9,950 Jellyfish Aquarium ORBIT 20 (23L) ORBIT 20 is our smallest jellyfish aquarium type. 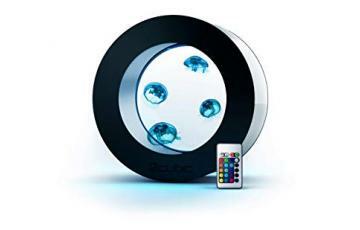 It is special..
Kč 29,700 Pulse 80 in white color is our middle-sized jellyfish aquarium type with the optimal size, offering ..
Kč 29,700 Pulse 80 in black is our middle-sized jellyfish aquarium type with the optimal size, offering a grea..
Kč 88,500 PULSE 160/B - aquarium for jellyfish, black (160 liters)..
Kč 88,500 PULSE 160/B - aquarium for jellyfish, white (160 liters) The Pulse 160 jellyfish aquarium is avai..